In a wide bowl add all the ingredients mentioned above. Mix thoroughly. Add hot water and make a tight dough. Add water in tablespoons at a time. Divide into equal portions and roll out small pooris by greasing the rolling board and pin. Alternatively, you can use 2 greased plastic sheets, place the balls and press them with a flat bottomed vessel to get a round shape. Heat oil in a pan and fry the pooris one by one. It takes little extra time to cook and puff up. 1. Keep the dal thick. Watery dal will not give a tight dough. 2. For perfect round pooris, roll and cut them with a round lid. 3. Pat dry the leaves before adding. 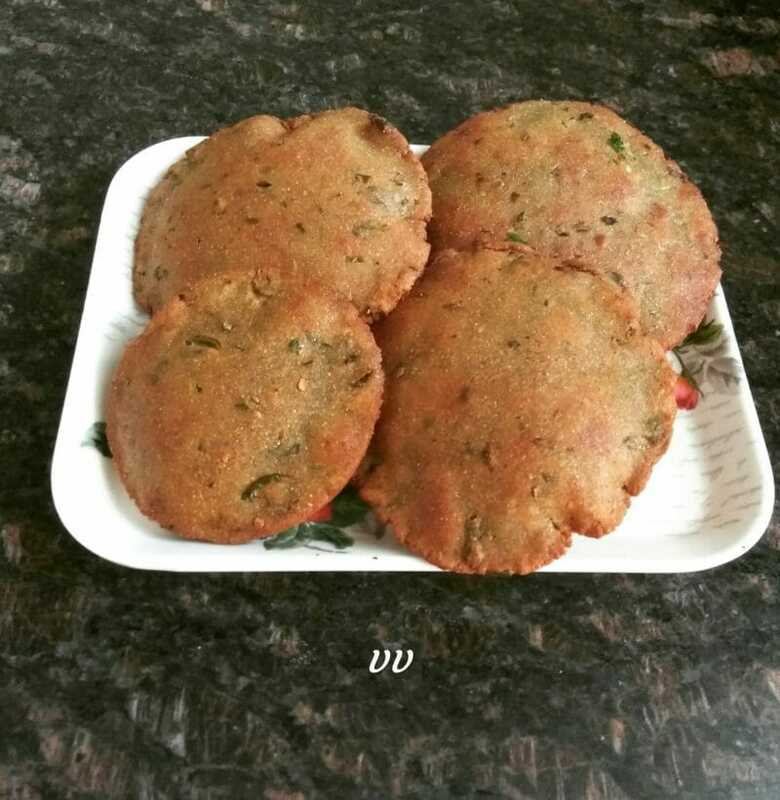 You can use ragi or Jowar flour for this recipe.